Medela is reminding parents that they’ve voluntarily recalled a number of their popular products, citing concerns that the power supply for some of these breast pumps may pose a risk of electrocution. This recall was initially issued back in 2016, but Medela has the recall notice front-and-centre on their website, reminding parents once again that the components of some units are faulty and should not be used. The AC power supplies are sold separately AND also come in the box with the Medela Swing, Medela Swing Maxi and Medela Freestyle breast pumps. Model and serial numbers for the AC power adapter can be found on the front of the adapter. Model and serial numbers for the pumps can be found under the battery cover of the pump. The following units should not be used and must be returned. The affected units are comprised of two parts – a detachable wall plug and the power adapter with the cord attached. The affected part can be seen below, on the right. Customers should stop using affected adapters immediately. Breast pumps may continue to be used with battery power only. 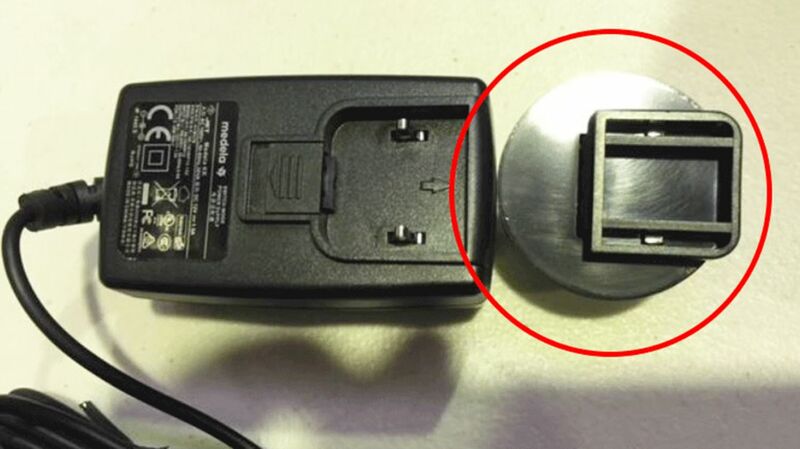 Customers can obtain a new detachable wall plug by registering their details at www.medela.com.au/breastfeeding/electrical-safety-recall/power-adapter-registration or calling Medela Australia on 1800 787 345. The adapter, cord and pump are not affected by this issue.